There’s no better investment to update your old computer than installing an SSD on it. Forget about memory or CPU upgrades: you will really feel the difference with that simple upgrade. 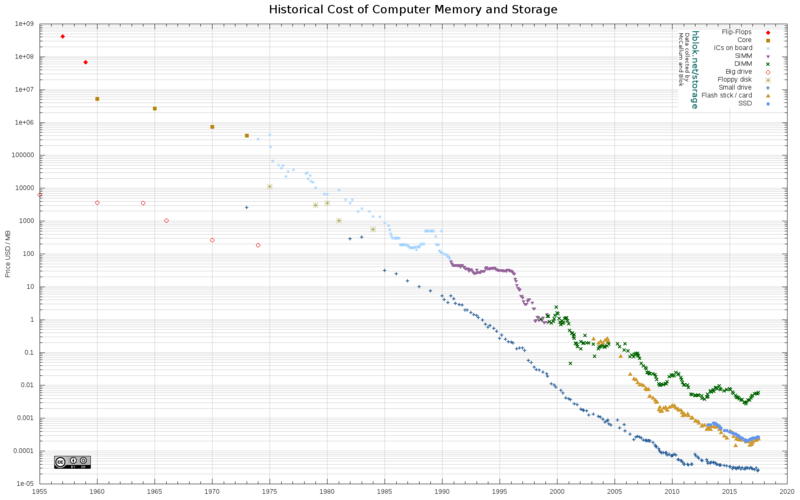 This kind of storage was pretty expensive a couple of years ago, but that’s not true anymore, and a new DRAMeXchange report shows this. The cost per gigabyte has been narrowing between traditional HDDs and the new SSD, and the gap will be hardly noticeable in 2017 according to their estimates. We’ve got similar cost per gigabyte, good storage capacities are becoming quite normal, and new advances in NAND memories (with 3D NAND and V-NAND technologies) promise even better features in the near future. I’d say SSD have already won the battle.